When Heide Holtz contacted me about LoyaltePays, a new membership site that offers to pay you to build your email list, I was very intrigued. She made me a test account so I could snoop around and report my findings. Does LoyaltePays Pay You To Build Your List? In two words: not really. LoyaltePays offers instructions and resources to help you build your list. You can then use the list to promote LoyaltePays memberships and get 50% recurring commission. Maybe LoyaltePays considers that getting paid to build your list but I would consider it a pretty big marketing stretch. If LoyaltePays doesn’t really pay you for building your list, then what do they do? In a nutshell, LoyaltePays is a membership site that provide its members with the two main items needed to make money online: a product and a mailing list. In addition to LoyaltePays memberships that pay 50% recurring commission, LoyaltePays offers its members re-brandable eBooks and reports that they can sell or give away for free as part of their list building efforts. There are also hundreds of articles that members can use as content for their emails. 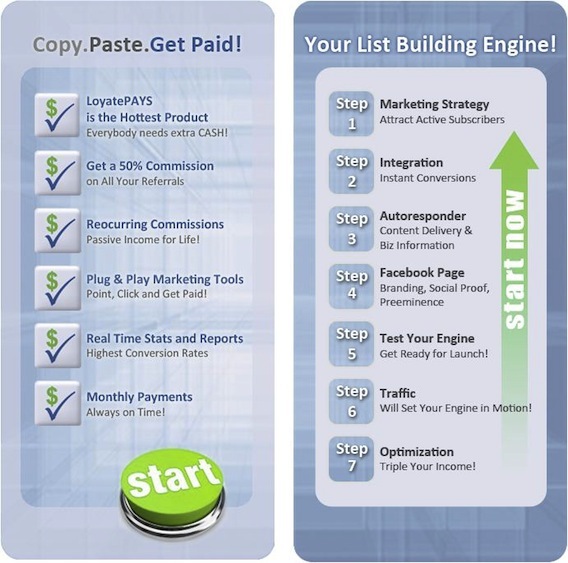 At the heart of the LoyaltePays system is the list building engine. Here, you’ll be guided in seven easy steps on how to set up your list and auto responder, how to get people to sign up and how to optimize it. They even include ready made Facebook fan page templates for you to use. All you have to do is copy and paste the codes. I like their use of the Like button. I need to put that on my fan page. While LoyaltePays helps you build your list, they don’t provide any mailing list service. Instead, they refer you to GetResponse. While GetResponse is a good email list service, Aweber is my preferred list building service and I recommend them over GetResponse. To allow new members to test out LoyaltePays, Heide is offering a 7-days trial for $7. 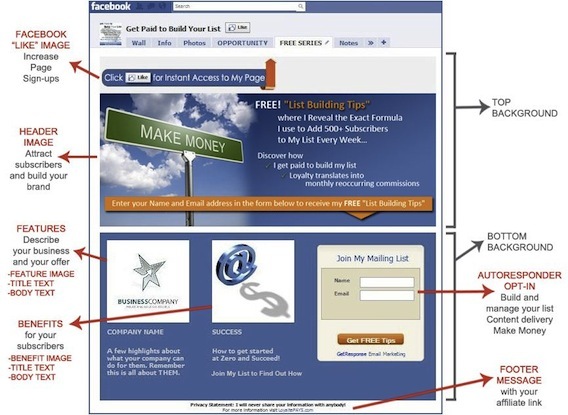 You’ll also receive a $50 bonus that you can use for any LoyaltePays value added offerings, like a custom made Facebook fan page or custom auto responder service. After the 7-day trial, membership is $47 per month.